029 - USA - 2015 - John Macs Travel & Photography. John Macs Travel & Photography. 029 - USA - 2015. 029 - Old Tucson Studios, Arizona, USA - 2015. After breakfast we left our hotel in Tombstone, and headed towards Old Tucson Studios, Arizona. This is an old movie studios, where they filmed mostly westerns, going back to the days of Black & White. Built in 1939 for the movie Arizona, it has been used for the filming of several movies and television westerns since then, such as Gunfight at the O.K. Corral and The High Chaparral. It was opened to the public in 1960, and historical tours are offered about the movies filmed there, along with live cast entertainment featuring stunt shows and shootouts. This was a fantastic day out reliving the glory days of old westerns, up to some modern day westerns, they made over 250 movies at this old movie studios in the Arizona desert, near Tucson, Arizona. 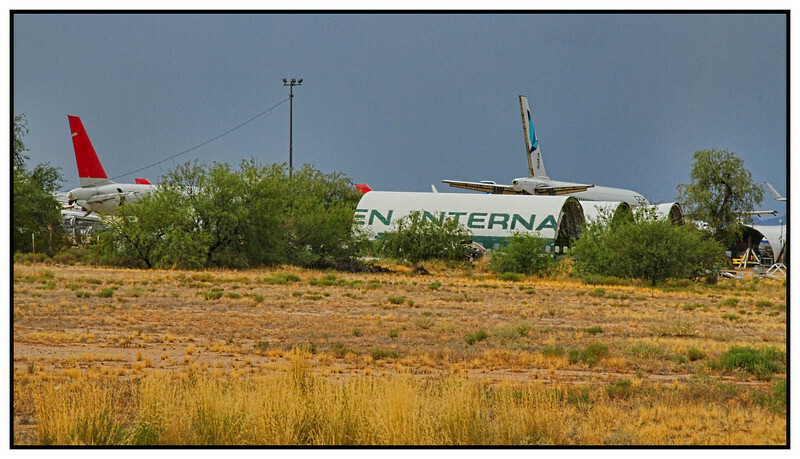 After leaving Old Tucson Studios, we headed towards our hotel in Phoenix, Arizona, stopping off along the way at the airplane graveyard in Tucson, Arizona, where we could only view from the roadside. Then arriving at our hotel in Phoenix, Arizona, once checked in, we chilled out, then went out for dinner and finished the day off with a couple of cold beers. Airplane Graveyard, Tucson, Arizona, USA - 2015. © John Macs Travel & Photography - 2019.